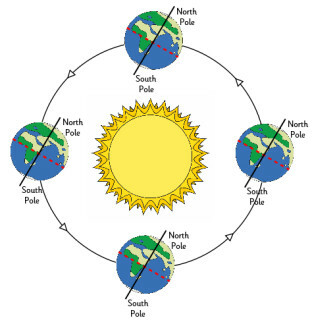 The spring or vernal equinox falls on or around the 20th March in the Northern hemisphere. The word equinox comes from two Latin words, equus and nox and means 'equal night'; the day when the day and night are of equal length. It marks the point where the sun passes over the celestial equator from the Southern to the Northern hemisphere and the hours of daylight become longer than the night. For many, the vernal equinox marks the arrival of spring. In the UK various celebrations are held, some of the biggest of which take place at Stonehenge. Why not celebrate the arrival of spring with the help of our fun range of colouring pages and printables? 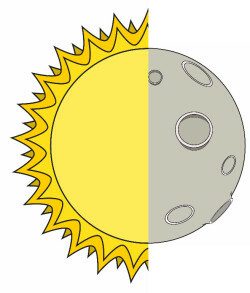 Here's a simple equinox colouring page to print out for the children to colour in - perfect for a space topic. We have two versions of this colouring page, featuring a tree changing from winter to spring. One has the heading 'spring equinox' and the other has the heading 'vernal equinox' - just click on your preferred option below to download and print. This poster shows a tree changing between two seasons (winter to spring), illustrating the vernal (spring) equinox in a simple way - perfect for a display about changing seasons. Choose from two versions below: 'Spring Equinox' or 'Vernal Equinox". Use this story paper to write down some facts about the Spring Equinox, or as the setting for a creative story set at this time of year. Can you find the words relating to the Spring equinox in the grid? If you get stuck we have the solution to help. 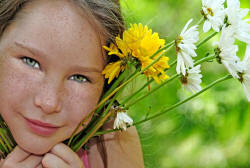 Are you learning about the different seasons at the moment? 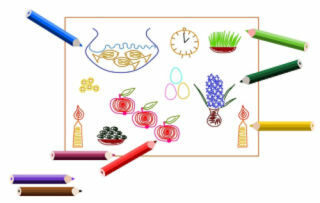 If so, ask the kids to try and complete this Spring Equinox Worksheet, which has questions all about the Spring Equinox, and space to draw and label a picture too. It's a lovely feeling once winter is over and we can finally welcome spring! Print this poster to celebrate - perfect for displaying on a classroom wall or door.